You can have your own Professionally designed Building Your Business With Social Networking Niche Website up and going Today!! "The New Way to Bring Loads of Targeted Traffic to Any Site and Generate a TON of On-Demand Cash Flow!" If you"ve never heard the terms "Web 2.0" and "Social Networking" then you have either been living in a cave for the past six months, or you are brand new to Internet marketing. The good news is whether you are familiar with these terms or not you can begin today (as in right now!) to break into the future of profitable Internet marketing and jump three steps ahead of your competition! Take the mystery out of what many expert marketers are calling "the future of Internet Marketing". 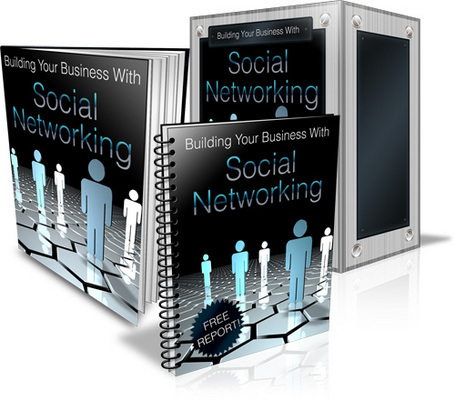 This easy to understand report is loaded with exactly the kind of information you need to launch your own Social Marketing campaign or improve your existing Web 2.0 strategy.